Engineering students take Great Britain by plane, train, bus or bust! Students in front of Roman Baths in Bath, England. Photo courtesy Jing Dong. “Civil engineering is an increasing global profession, and what better way to understand that than by seeing it firsthand,” said Shauna Hallmark, director of Iowa State University’s Institute for Transportation and Midwest Transportation Center (MTC). 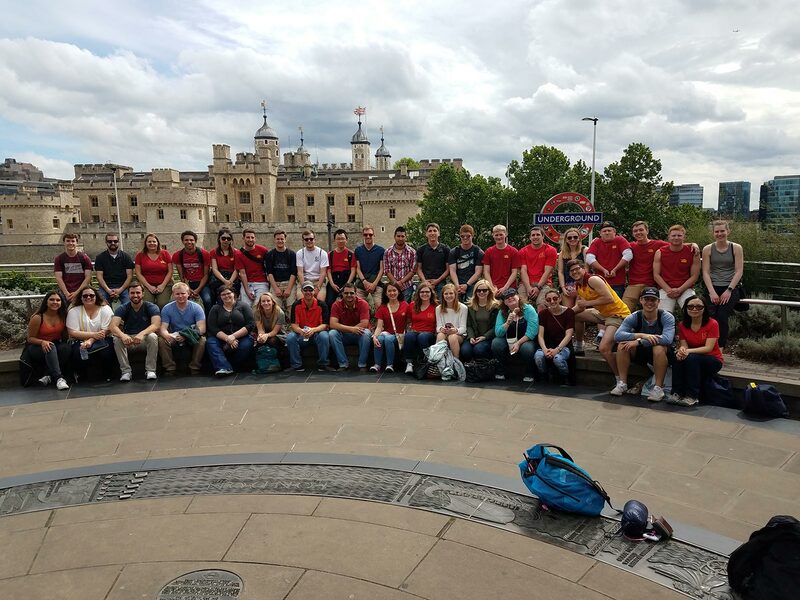 In coordination with ISU’s Department of Civil, Construction, and Environmental Engineering (CCEE), the MTC took a group of 25 students during mid-May to Scotland and England for the course “Great Britain: Global Perspectives in Transportation (Civil Engineering 395X). “This is our third time taking students around the world, and each time, I feel they have returned with a better understanding of transportation engineering history. And that’s important, because as engineers we rely a lot on past research,” said Hallmark. In 2015 it was Turkey and in 2016 it was Rome. And just like in study abroads past, the trip across Great Britain provided students with an international understanding of the impact different historical, cultural, environmental, and political factors have on transportation and infrastructure projects. How could a medieval castle hold up to a siege? Or, how does London, one of the busiest cities in the world, keep their roadways running smoothly? These questions and more were asked over the course of the two-week study abroad. Students had the opportunity to even tour London’s traffic operations center. The course covered topics like data analytics and image processing as well as transportation issues like safety, asset management, and transit and logistics. “We try to visit as many places as we can on our study abroad opportunities, and cover a wide range of topics too, so our students can better see for themselves the variety of opportunities the field of engineering has to offer,” said Hallmark. In addition to Hallmark and Knapp, additional study abroad leaders included ISU CCEE faculty members Chris Williams, Jing Dong, Vern Schaefer, and Anuj Sharma. A pit stop at the Tower of London. Photo courtesy Jing Dong. 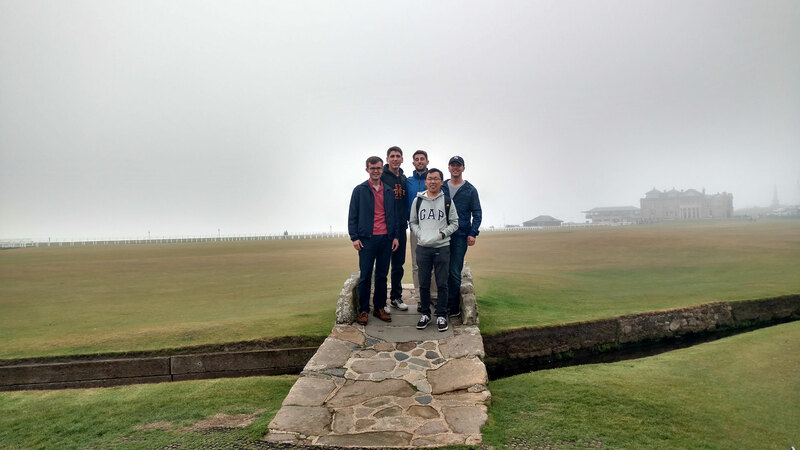 A few students pose on a bridge in St. Andrews, Scotland. Photo courtesy Keith Knapp.